If it feels like the Christmas holidays were a lifetime ago and you’re holding out for that next holiday but don’t want to break the bank, then why not embark on one of Perth’s many amazing self-drive trips? Autumn is the perfect time to explore WA’s sights with friendlier temperatures and lighter crowds. Starting from closest to Perth CBD, we have put together a list of our top 10 favourite spots North of Perth for an easy and adventure filled self-drive getaway this season! Yanchep National Park – located only 50 minutes prom Perth city, Yanchep national park is ideal for a day trip. Upon entry to the park, take a wander through the 240m long trail where you’ll see hundreds of native wildflower species and If you look hard enough you might even catch the koalas sleeping in the eucalyptus trees. There are over 400 caves in Yanchep National Park so we recommend booking a tour and exploring the underground world of stalagmites and stalactites. Then, use the barbeques for a picnic lunch on the lawns, but be warned, you might have to share that snag with Yanchep’s resident kangaroos! Moore river Region- Only an hour drive from Perth city, The Moore River region is another perfect place for a day trip where you can experience the best of both worlds. Relaxing on the ocean shore or adventuring on the river with a kayak or paddle board. While you are in the area, pay a visit to New Norcia’s monastery museum and art gallery but don’t leave without a loaf of their famously delicious home-made bread. It’ll keep you coming back! Lancelin- Cruise 120 km north of Perth and you’ll find Lancelin. A small fishing town with a big personality, Lancelin is the perfect spot for adventurers and water lovers. Try your hand at 4WDing on Lancelin’s sand dunes, or how about wind surfing in the ocean? If you’re more of the relaxing type, take a swim in the turquoise waters and watch the sunset with a glass of wine on the dunes that evening. It really is a spot for the whole family. Cervantes- Meet the seals and feast on lobster! A scenic 2 hour drive will lead you to Cervantes, the home of crayfish and the entry to Australia’s coral coast. Other than enjoying Cervantes pristine beaches and turquoise waters, you can join a sea lion charter and meet WA’s cute and friendly marine life. 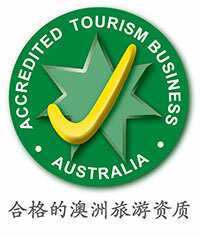 Then head into The Lobster Shack for a factory tour and learn about WA crayfish! 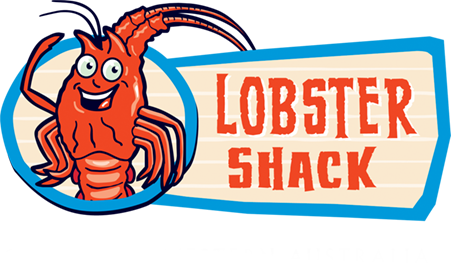 All that seafood talk is bound to make you hungry, so while you’re there, feast on Lobster Shack’s juicy grilled crayfish with a side of chips or fried rice. (Yum Yum!) Now you’re ready for some more beach action! The Pinnacles- While in Cervantes, why not walk on the moon? 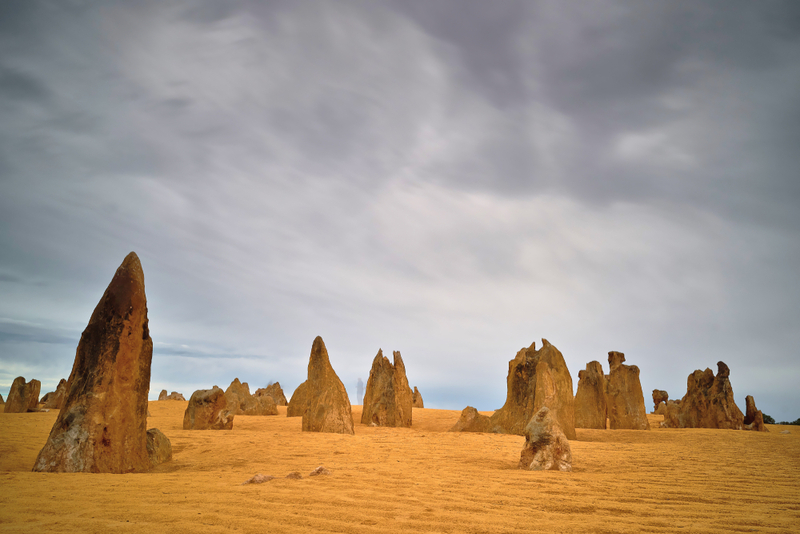 Head 20 minutes north to experience one of Australia’s most unique landscapes, the Pinnacles Desert. Almost moon like, the bright red sand and upright rock formations form the ultimate selfie location. Jurien bay- Take a scenic drive 20 minutes from Cervantes to Jurien bay where you can admire the panoramic views of the wildflower filled bushlands against the Indian Ocean. Once in Jurien Bay, choose to explore the oceans by snorkelling in Jurien Bay Marine Park or aboard a sea lion charter where you can meet some of WA’s friendliest marine life! If you are more of an adrenaline junkie, Jurien Bay is famous for its unreal skydiving experiences out of the plane and onto the white sandy beaches below! Geraldton- Known as Australia’s windsurfing capital, Geraldton and Abrolhos Island close by, are the ultimate water sports playground for the big kids of the family. Head to one of the many beaches to test your skills and then indulge on a sunset dinner from the HMAS Sydney II Memorial. Kalbarri- Iconic for its panoramic views of rivers and rock formations, Kalbarri National Park is the ultimate hiking spot for the perfect landscape photo. And for all you adventurers out there, you can join a camel trek, go abseiling or even quad biking too! If you head at the right time, you might even see some migrating humpback whales in the Southern and Antarctic Ocean. Monkey Mia and Shark Bay- From Kalbarri head another 2 hours north along the Coral Coast before entering the Shark Bay Heritage Area. Here you can see some of the oldest living fossils known to mankind or take a stroll on shell beach, one of only two in the world where the sand is made up of tiny shells from one species. (now that’s pretty special) For the real treat, meet Monkey Mia’s friendly bottle nosed dolphins who swim to the shoreline for some playtime with visitors. Coral Bay and Ningaloo Reef– Western Australia’s own Paradise with access to 300km of World Heritage listed Ningaloo Reef. We suggest camping for a night or two or even booking accommodation because you won’t want to leave! You can spend hours swimming in the turquoise waters and snorkelling amongst the fish in the most amazing coral gardens. Visit between March and August and you can come face to face with the world’s largest fish, the whale shark! Ningaloo is also the perfect spot to catch and cook your own seafood dinner with tuna, cod and mackerel regularly hooked here. And this is just North of Perth! If you were inspired by our favourite picks then now is the time to get planning and make a day or a weekend of it!